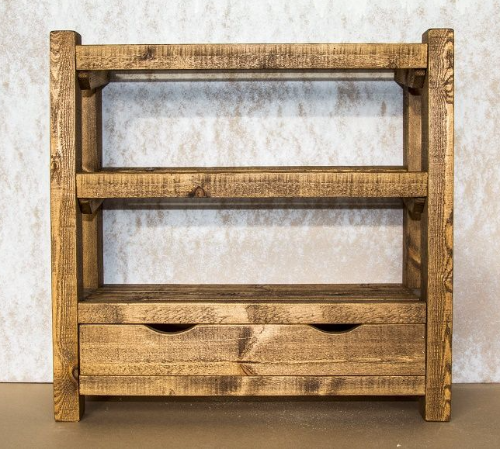 Rustic wooden shoe rack with drawer. 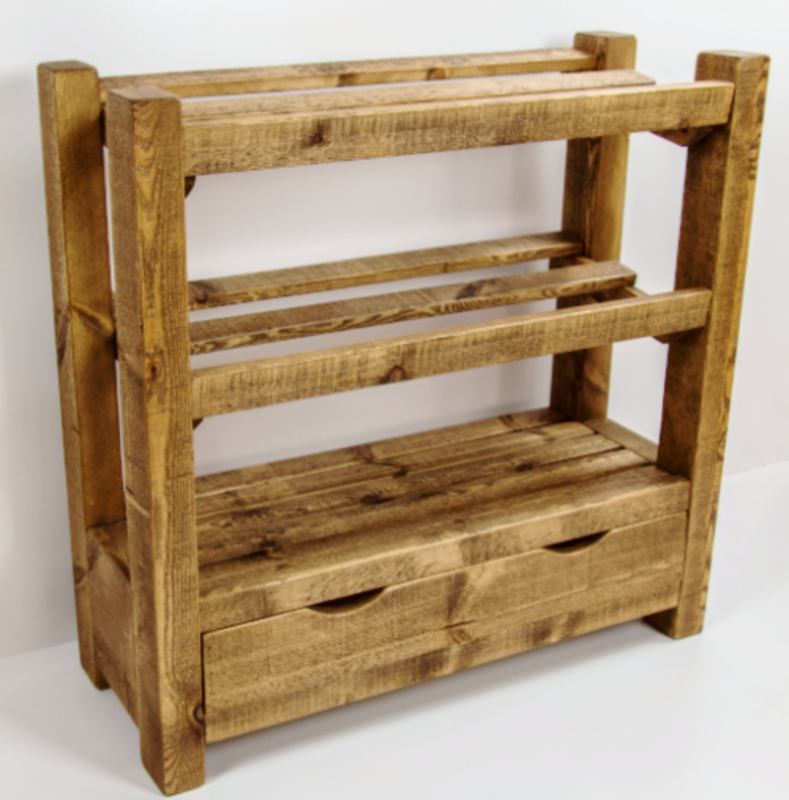 Solid pine shoe rack made from high quality timber. Handy wooden drawer at the bottom for polish, brushes, shoe horns etc. A unique and exclusive storage solution designed and made by Captain's Craftworks. 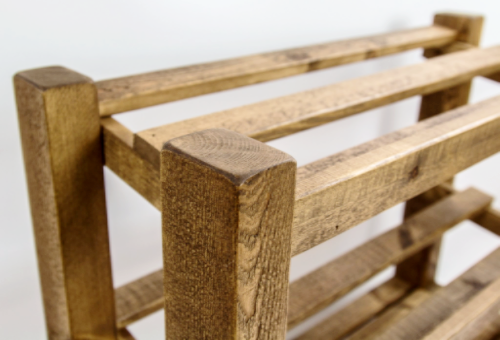 Hand finished with antique pine wax for a deep shine and vintage patina. To order this in a bespoke or custom size click here! 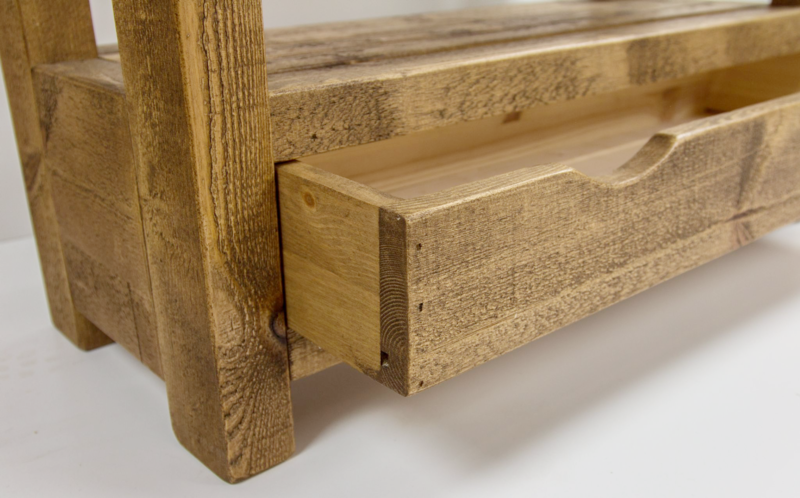 Rustic shelf with coat pegs. Rustic pine shelf with coat rack, hanging pegs.